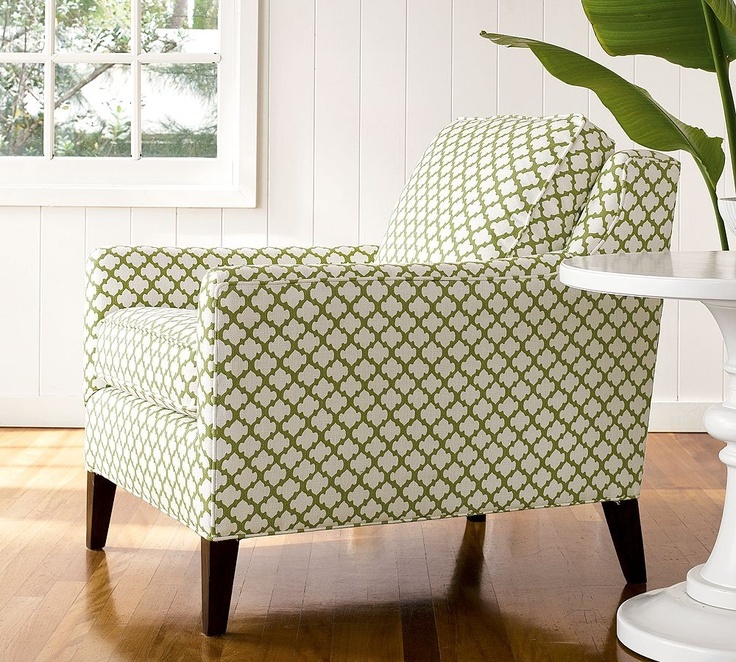 I really like all the patterned chairs that are out there. 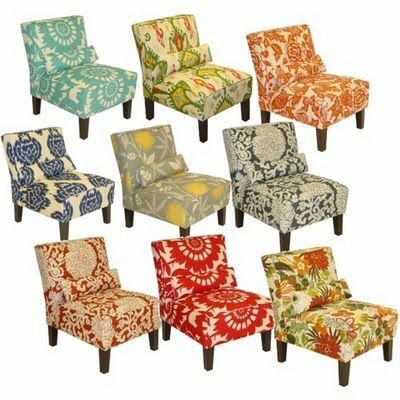 I saw these on pinterest last week and it really got me thinking about patterned chairs and where one would fit well in our house. We have been needing a chair in our master bedroom. I started thinking I could get one of the many target patterned chairs even thought they probably aren't the most comfortable and are a tad on the small side.... but I was tired of waiting. I had been holding out since a lot of what we saw was too large/puffy or not comfortable or didn't fit with the colors and style.... until I randomly suggested begged we go to Homegoods when we had some time to kill last Friday night before dinner with friends. We stumbled upon this absolutely perfect chair! It was tan and white with a great pattern and our master colors are tans, blues, and white. So of course I get my mom on the phone while in the store (after sending her a picture) to discuss if she thinks it will look good. 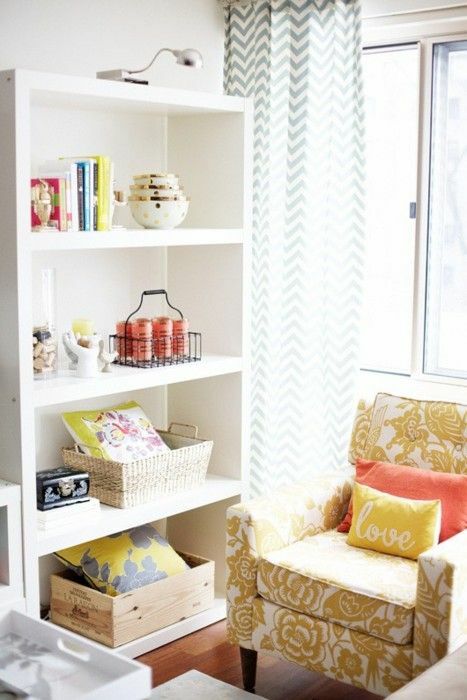 I always like her opinion because she has good sense when it comes to decor and fabrics that go well together in room. I tell her it's by Lane and she says "oh that's who made our 2 nice reclining chairs". I mouth this to hubby who was sitting in the chair in the middle of Homegoods and he leans back and SURPRISE! It also reclines!! Well if I wasn't already convinced, I am now :) Somehow we missed this sign... to be fair it was behind the Lane logo sign. It was a great price and looks great in the room. Homegoods for the win! To see a pic of the other side of our master bedroom go here.